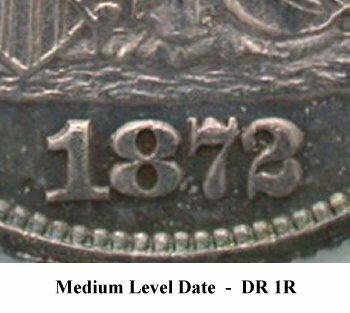 Comments: The date on Obverse 2 is designated as level since it is even with the base, though it appears to slope upward. 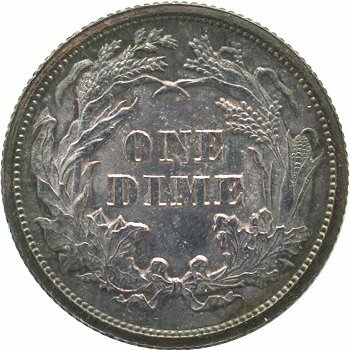 The 2 digit has been triple punched. 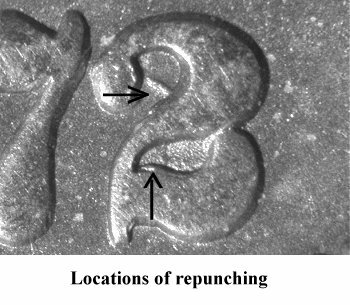 The most obvious repunching is seen within the upper loop of the digit. Additional repunching is seen along the top of the base of the 2. 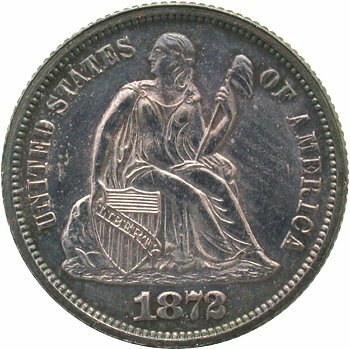 This obverse also exhibits residual misplaced digits. Both are located directly right of the end of the scroll. 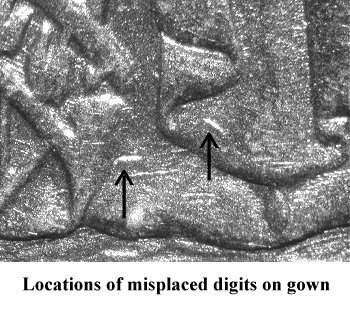 I have not studied these minor misplaced digits enough to draw a conclusion as to which digits in the date they might be. 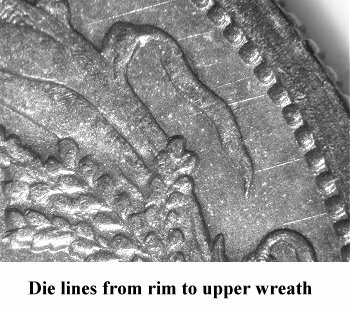 Reverse B exhibits a few diagonal die lines from the rim at 2:00 down into the upper right wreath.